JEFFERSON CITY, Mo. — For the first time in his short tenure as Missouri’s chief executive, Gov. Mike Parson will head to Washington, D.C. to meet with President Donald Trump. The Republican is scheduled to have lunch with a group of governors and the President on Thursday before heading back to the Show-Me State that evening. 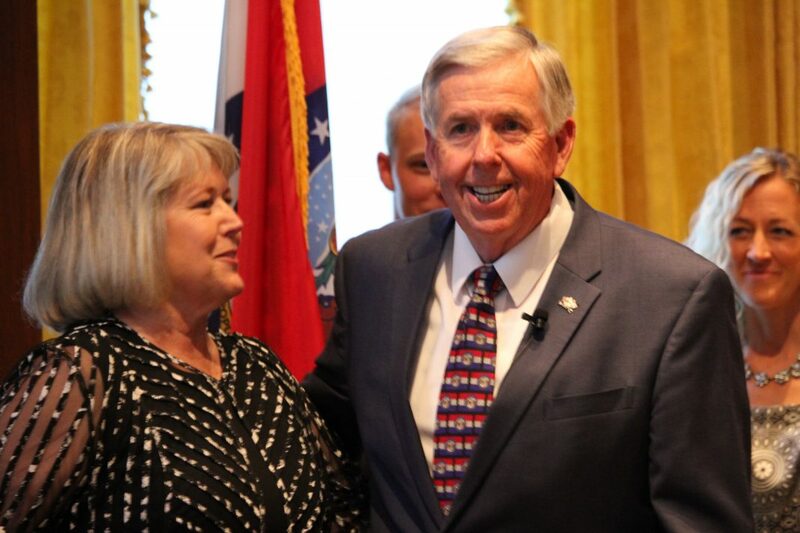 While in D.C., Parson will be engaging in Cabinet-level meetings in order to discuss the needs of Missouri and lay out the issues and priorities, which includes workforce development, infrastructure, and transportation. He is scheduled to meet with Secretary R. Alexander Acosta, Department of Labor; Secretary Elaine Chao, Department of Transportation; and with senior officials from the Department of Commerce and the Small Business Administration. This all comes a day after Parson continues meeting with leaders and business officials in order to identify the best possible solutions to address those same issues. On Wednesday, Parson was scheduled to meet with some of the St. Louis area’s top employers including Boeing, Schnuck Markets, Regional Business Council, Washington University, and Mercy Hospital. The Governor also was scheduled to meet individually with St. Louis County Executive Steve Stenger. After returning to Missouri Thursday night, Parson is expected to complete more bill signings on Friday, with his staff saying more details will be shared later in the week.